Last week, I shared an interview I did with Dr. Cate on how your diet affects your genetic expression. Even though I’d already read both books, Dr. Cate kindly sent me new copies of each book to facilitate the interview. Guess who wins? You do! This week, I’m being inspired by the spirit of Christmas giving. I’ll give one of you lucky readers my extra copies of Deep Nutrition: Why Your Genes Need Traditional Food and Food Rules. The subtitle says it all. This book uses simple language and an engaging style to explain why your genes need traditional food. Learn how genetic expression can change with diet, and how you can impart genetic wealth to your children and grand children with your diet today. An answer to Michael Pollan’s book by the same name, Food Rules unpacks what a nourishing, healthy diet looks like by sharing bite-sized chunks of easily digested information. Rules include such wonders as “Skip the skim.” and “Replace soda with kombucha.” It’s perfect for helping people transition to a more nutrient-dense diet of traditionally-prepared foods. Entries are being verified by Rafflecopter. Simply use your name and email address to log your entries. Alternatively, you can login to Rafflecopter using your Facebook account and log your entries that way. Wow, both of these books look great! These books look so interesting! I would love to win them! I’d love to read these. I hope I’m doing this right. 🙂 I’d love to add these to my library! Yes! These are on my post Christmas “buy for me” wishlist. Fingers crossed! These both sound like awesome books! Thanks for the great giveaway! Thanks so much for this great give away – these look like books everyone should read! Thanks for the giveaway! Been looking at these since the interview! Awesome, I’ve been looking forward to reading these. Thanks for the chance . . . both books sound interesting! thank you so much for the opportunity!! very kind of you!! I would love to read these books by Dr.Cate thanks and Merry Christmas! I’m interested in both of these books and am excited to have the chance to win them! I’d LOVE to win these books! They look really good. I have heard so many wonderful things about both of these books. I’m looking forward to getting to read them sooner or later! I’d love to read these books! After recently discovering I’m gluten intolerant and allergic to wheat, I’ve not only changed my diet back to basics, but have started rearranging the pantry, fridge and my family’s diet to ensure we’re all getting back to basics and eating healthier. And forgot to add that’s why I’d love these books! Would love to read both of these! these look really good, we are our beginning of eating healthy & I’m also thinking these would be super for my mom who fights with lupus. I’d love to read these books–and our library doesn’t carry them. I am passionately interested in this topic. Hope I am lucky enough to win! I’d be thrilled to win! Great giveaway! I would love to read these books!! Sounds like great reading; thank you for the chance to win! My small town library doesn’t carry too many nutrition books, especially paleo types. I’d be very interested in reading them. Would love either of these books. Thanks for all you do to share with others! This is fascinating stuff – thanks for sharing. I put Deep Nutrition on my Amazon wishlist recently. I’d love to win a copy! 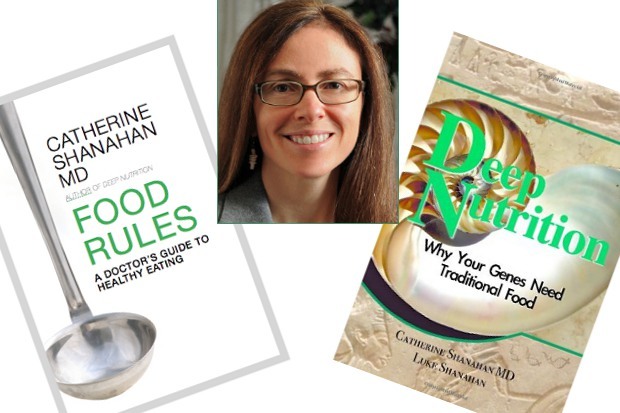 Cool giveaway – After reading an interview with Catherine recently, I’m interested in hearing more about her take on ancestral eating! I would like to win these books. these are both books that I have been interested in for a long time! It’s funny that you have this giveaway because I just added her books to my list of books to read. I’m excited!! I would love these books. I am part way through my library copy of Deep Nutrition and would love to have it! These would be a great addition to anyone’s library. Nice offerings! Thank you for this giveaway! These are both on my wishlist. Thanks for the giveaway! I am super excited to read this book! I found out about it with your last blog post, and immediately sent out an email letting people know I’d love to get it for Christmas. I think most people have already gotten me other things this year, but I’d still be thrilled to get my hands on this book. I’m a total nutrition and genetics geek! Sounds like great reading-would love to own either book! I have Dr. Cate’s books on my wish list and would love to win one! I have been receiving your emails for a few months and always look forward to them in my inbox. I’ve heard so many people talk about Deep Nutrition recently, I’m definitely intrigued! I love this book (Deep Nutrition) and have promoted it on Facebook and on my fb group Real Food Fan Club. However, I don’t own a hard copy and would really love to have one, plus the Rules book. Wow, those books look awsome. Awesome, both books look really interesting! Thanks! Cool! Thanks for the generosity! Would love to get these books thank you. Also someone on one of the blogs in this genre wrote about supplements and vegetables and how toddlers cannot absorb the nutrients yet so it is okay if they don’t eat them. I really want to find that blog again and get the book it was based on but cannot find it. Does anyone know what I am referring to? Thanks! I would so love to win these books!!!! Thanks for offering this set!!! Enjoyed reading the interview you did with Dr. Cate!!! I would like this a lot. I’ve heard podcasts with cate and she’s got some good information. I’d like this book, considering that it has excellent information that could help me live better. Second blog post in a row mentioning Deep Nutrition. Gotta read it! You got me interested in these books with your last post about them. I would love to win copies! This author is on my wishlist. Thanks for the chance to win! I am just starting to read about epigenetics and am fascinated to learn more! Deep Nutrition is on my to-read list but I haven’t bought it yet. Would love to win it!! Can’t wait to read it. I am just beginning my journey as a Food Renegade. These books are on my “must read” list. I would love to win them! I’d love to read what Dr. Cate has to say! I want to win these! The books I have read about here look really interesting and I would love to read them and add them to my library! Very interested in reading both these books. Just starting to change the way I make meals for me and my family. Looking for some help,guidance,ideas… This would be GREATLY APPRECIATED! I would LOVE this! Thank you for this great site!! I’ve been wanting to read both those for quite a while…unfortunately not available at my local library! These are on my to-read list, but my local library doesn’t have them. I’d love to win them! I’ve really wanted to read these and would love to win them! Thanks for the giveaway! Would love to read these! This would be such a blessing to win. I have some major health issues that I want to heal without drugs. Thanks for offering this. I enjoyed reading your review. I spend a ton of time searching Goodwill’s to find/afford books that can help with my holistic internal health, I was diagnosed with an autoimmune disease earlier this year and refuse to be subjected to ongoing medications that dont work. These books would be incredibly awesome to add to my growing library of healthful knowledge. I read EVERYTHING I can get my hands on, Knowledge is the ultimate power!! Really looking forward to reading these! The books look great. Thank you for your wonderful website I learn something every time I come here! These look great! I would love to add them to my library! Can’t wait to read these books! Thanks for doing a giveaway! I would sooo love to win these books! I’m hoping that correcting nutritional issues will help to improve my failing health. I would love to get these books and add it to my growing collection of books on traditional food. Thanks for this opportunity! I would so love to win these books. I just found out about “Deep Nutrition” this week, and am just itching to read it especially! 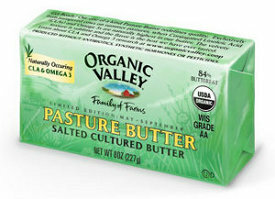 Due to my son’s food allergies, we’re knee-deep in research about eating traditional foods, healing guts, etc. These two books would be an awesome addition to our new food library! I have been wanting to read these since the interview! I honestly was ready to buy these books after Christmas, but it would be great to win them! I have been interested in reading Deep Nutrition for a while! Thank you for the opportunity to win these books. Also, thank you for the great information that you share on your blog. Wishing you a fantastic holiday and the very best for the coming year. I’ve been wanting to read both of these books! Thanks for the great giveaway! I would love to add these to my collection, as my collection is shrinking…I just found out I have Celiac Disease. I know it sounds crazy, but it’s probably the best news I could get compared to the alternative. 🙂 Thank you for the oppertunity! Happy Holidays! These sound wonderful…especially for my Celiac sister and my recently diagnosed with MS best friend. Both of these books look great! I’m always looking for new books on whole food nutrition. These look great. These books look great! Is this how one enters? I clicked Rafflecopter but only got a 404 error. then i’d get to read them too! I am really looking forward to reading these books. I need some information to set my nutritional compass toward North. Thanks! Just found you through a friend, and would LOVE to read these books! I’d like to win this book for my momma. Thank you. I’d love to learn more about genes and traditional foods. I’d love to enter this draw! We could use these books as a family. Thanks for hosting it!